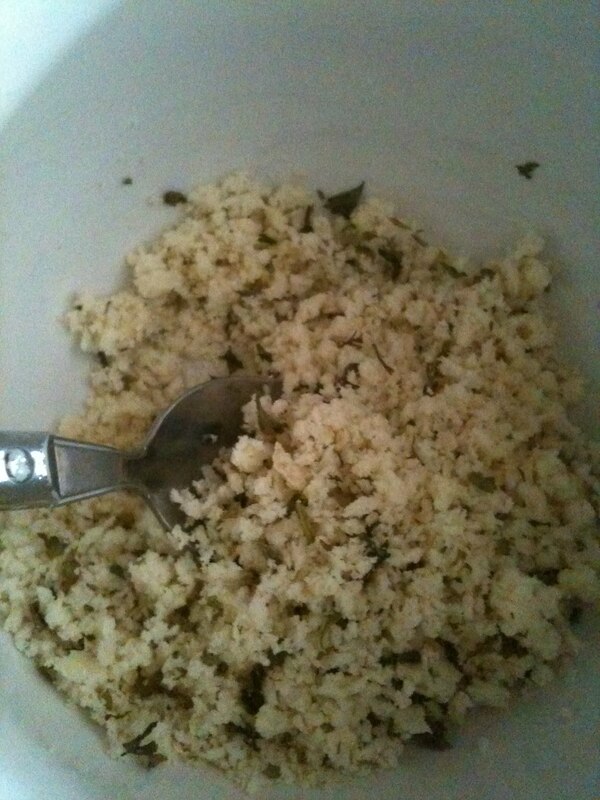 I found this recipe from my friend's blog. 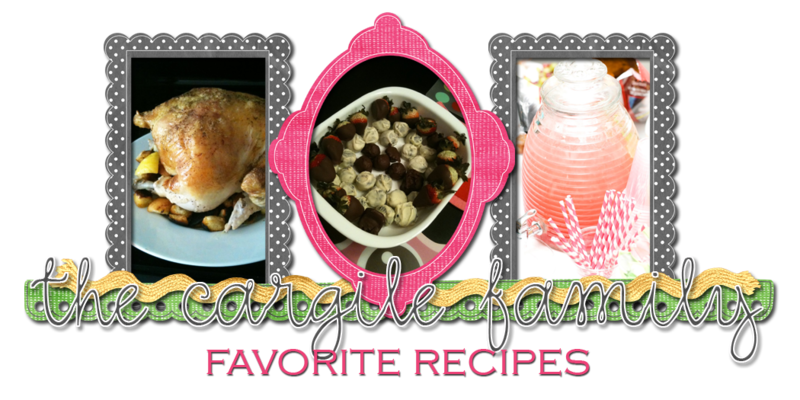 It is a delicious, easy and HEALTHY recipe that our whole family loves. No kidding, I've made it three times in the past month. It really is that good. 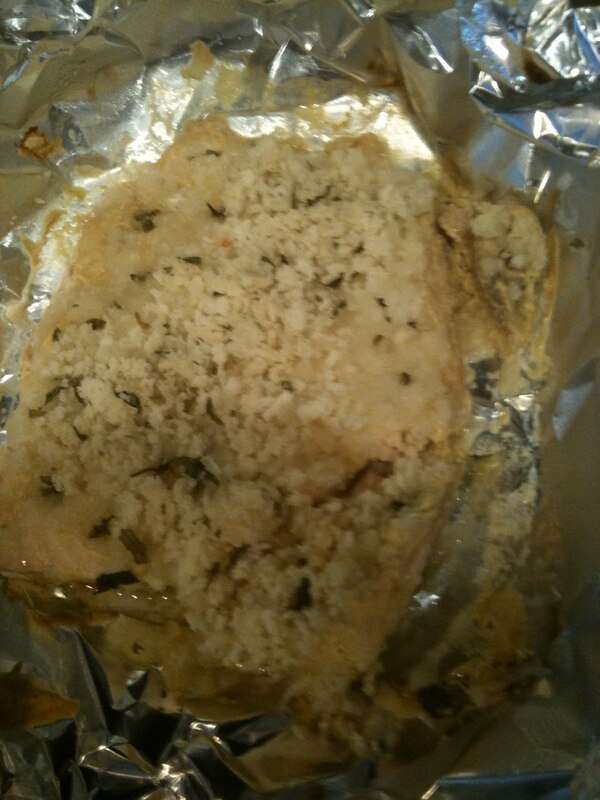 I should've known because it is adapted from a Barefoot Contessa recipe. With the salmon fillets skin side down on a work surface, use a pastry brush (or spoon, ha!) to spread the mustard generously over the tops of the fillets. 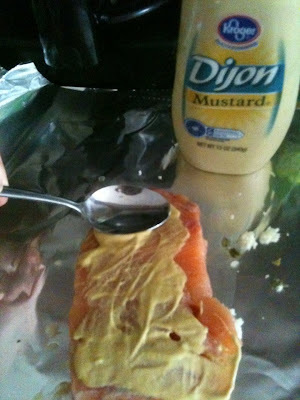 I never would've thought to use mustard on salmon but trust me, it is AMAZING! Season the fillets with kosher salt and freshly ground black pepper, then distribute the crumb mixture evenly over the fillets and press to adhere. Heat the canola oil in a large ovenproof skillet over medium-high heat. 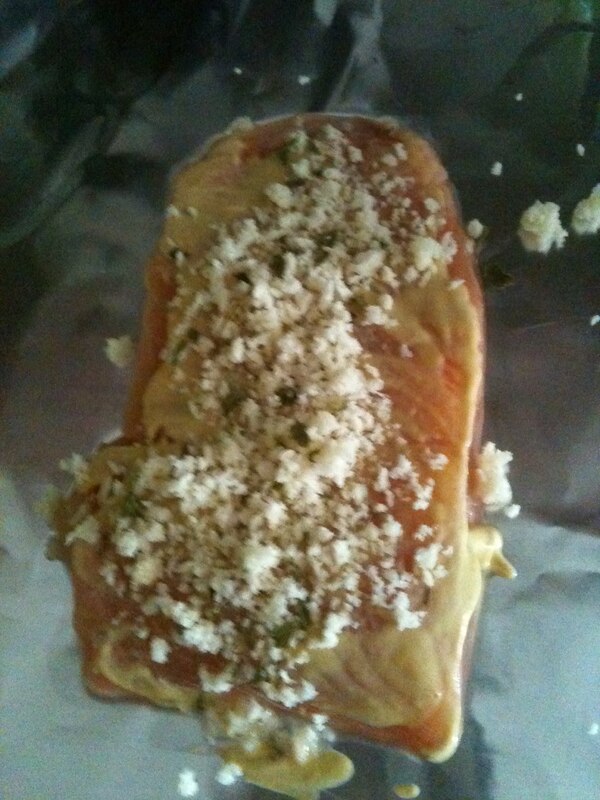 Add the salmon fillets, skin side down, and sear for 3-4 minutes to brown the skin. Transfer the skillet to the oven and bake for about 5-7 minutes, or until the salmon is just about cooked through, and the panko mixture has browned. 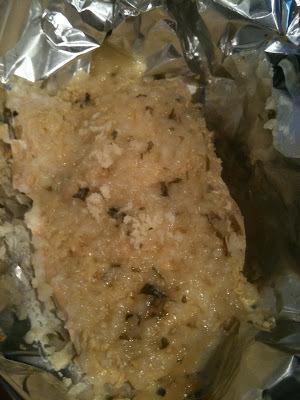 Remove the skillet from the oven, cover loosely with aluminum foil and let rest for 5-10 minutes. Serve with the lemon wedges (or just drizzle w/ lemon juice). My notes: I did not cook these in the skillet. I have covered them in foil and grilled them-YUM! I have covered them in foil and baked them in the oven--YUM! I have also dumped everything in a baking dish and baked them in the oven all together. 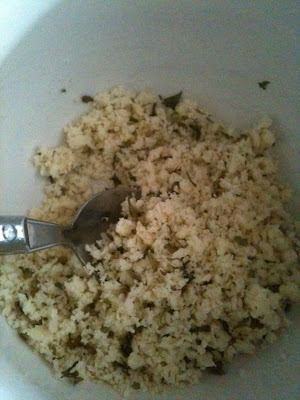 I loved this because we had enough bread mixture for every bite-YUM! My point is, it doesn't matter how you cook it. It turns out amazing every time!